Chelsea Extend their Winning Run as they make it 13 straight wins after defeating Stoke City by 4-2 in the Premier League on Saturday 31st December 2016. Gary Cahill opening goal in the 34' minute opened the way for Chelsea in the first half. The second half started with stoke city hinting back through Bruno Martins Indi to level the score after falling behind in the first half. Willian scored twice as Peter Crouch added a second goal for the visitors. 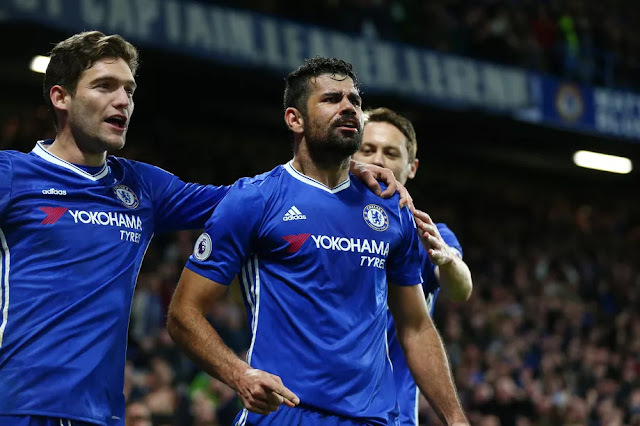 Before the end of the game, Diego Costa strike saw Chelsea match Arsenal's run of 13 wins within the same season from 2001-02.